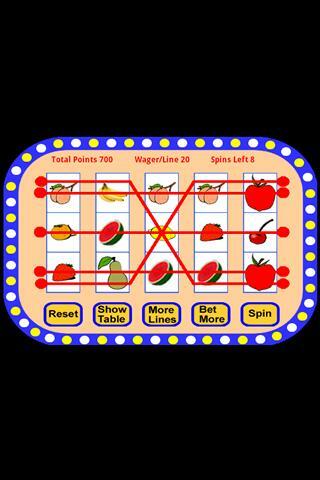 Poker Slots and Fruit Slots by developer monjod offer classic casino style fun on Android. 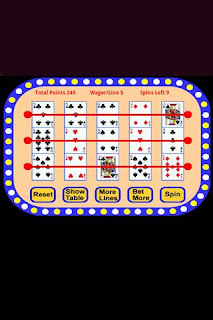 Poker Slots is a 5 reel slot machine game, where the poker hand of the 5 cards determines the points awarded. 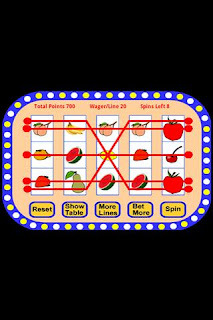 Similarly, Fruit Slots is a 5 reel slot machine game, where the show table determines the payout for various outcomes. 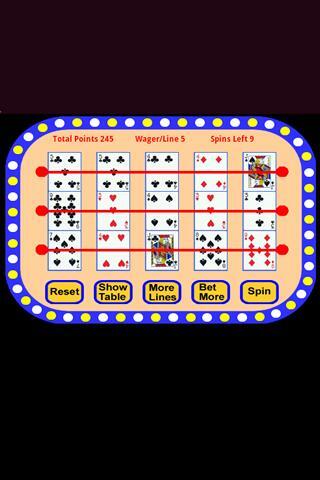 In both games, the player has the choice of 1 to 5 lines to play, and betting from 5 to 20 points per spin. The player has 10 spins to win as much as possible, and there is a global high score system incorporated in each game using Swarm-enabled global leaderboards. Like 5 reel slots? Then take a gander at Poker Slots and Fruit Slots on Google Play.